Tootsie Gallery: How Many Licks Does It Take? 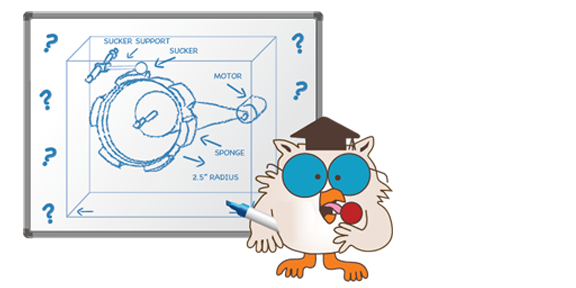 At least three detailed scientific studies have attempted to determine the number of licks required to reach the Tootsie Roll center of a Tootsie Pop. A group of engineering students from Purdue University reported that its licking machine, modeled after a human tongue, took an average of 364 licks to get to the center of a Tootsie Pop. Twenty of the group's volunteers assumed the licking challenge-unassisted by machinery-and averaged 252 licks each to the center. Rejecting the notion that one needed active college status to undertake the Tootsie Pop licking challenge, a group of junior high students at Swarthmore School used human lickers, reporting an average of 144 licks to reach the center of a Tootsie Pop. Based on the wide range of results from these scientific studies, it is clear that the world may never know how many licks it really takes to get to the Tootsie Roll center of a Tootsie Pop.